Already got a full-time job? Earn extra cash in the peer-to-peer marketplace by following a simple plan. Doing a side hustle’s kind of like playing Fortnite: Battle Royale. OK, so no blowing your enemy to smithereens. But you do get to execute some killa dance steps much like in the game. We’re talking how to sell your services or stuff freelance, on top of your full-time job (or work hunt). Car jockeying strangers for Uber or Lyft nights. Renting out your spare room via AirBnB. Flogging your skills on sites like Guru, Upwork or Fiverr. Want to plump your bankroll via the peer-to-peer marketplace? Dance your way in with five fabulous moves. Doing things for money means peddling yourself after hours (legally please). Performing chores like dog walking or house sitting. Building websites and keeping someone’s books. Basically leasing out your skills and know-how. 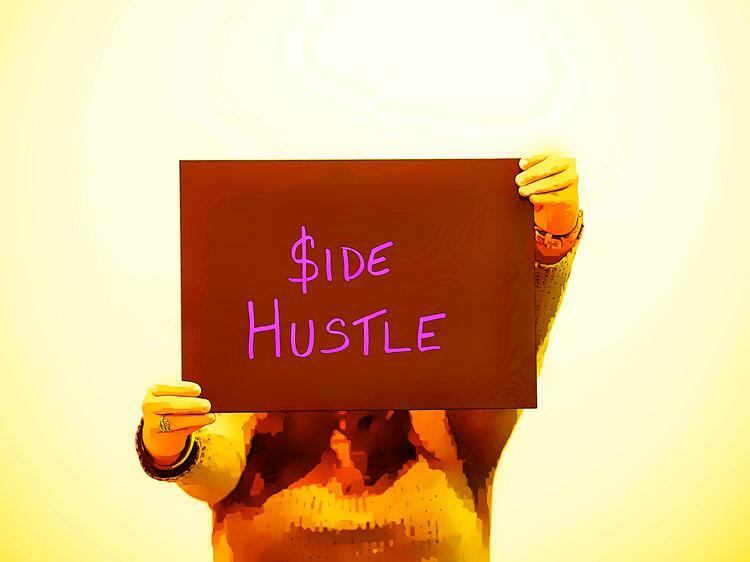 Renting out or selling stuff’ is the other hustle. Helps if you own something in the first place. Got a car rarely used during workdays? List it on Turo as a rental. Your neato bandito bicycle and skis sitting idle? Spinlister to the rescue. And why put junk in the trash when there’s eBay, Etsy, Amazon and Kijiji? Recycle for cash. Find out how to price and position competitively. Lots of eager beavers are out there hawking their wares too. Check out their ads. What features and benefits do they tout? How much are they charging for services or gear similar to yours? Choose how much time and sweat you’re willing to put out. It’s called side hustle for a good reason. If it keeps you from finishing your full-time job demands, that’s a problem. Think about this before joining the dance. It’s gonna take time to set up, get your word out there, haggle with customers and fulfill offers. Rinsing and repeating lots rips chunks from a schedule. Set limits to keep it from consuming you. Unless the opportunity’s so bright, you’re willing to bet the farm on self-employment. Risky business if not prepped. Promote your offerings. Can’t get customers without advertising. Word of mouth’s cheap but limited. Gonna have to spread the news wider. On a gig, rental or buyer sites for sure. Careful about posting your availables beyond that. If you’ve got a full-time position, or are searching for one, hints of moonlighting could hurt your prospects. Not so much when vending tinsel on Etsy or making your home a hostel. But employers suspecting you’re double dipping work-wise? They may question where your loyalty lies. Plus it might violate the company’s policy. Be selective about what you sell and who the buyer is. After all, you’re doing this for pocket bucks, not to make a full living as a free agent or micropreneur. Now leave the lobby, hustle your stuff, and bust some Fortnite victory moves. World Cup star Dele Alli did so famously. Why shouldn’t you?